As the clock ticks down towards 27 June, the official Team Jersey logo for this year’s NatWest Island Games has been revealed. 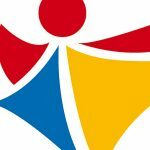 Working in partnership with Jersey Post, who in 2014 committed to support Team Jersey for both the 2015 and also the 2017 NatWest Island Games, a brand new logo has been designed and approved for our sporting representatives to wear when the games take place in less than 115 days’ time. 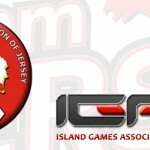 The logo, designed by LAB-6 in conjunction with Jersey Post and Team Jersey officials, will take pride of place on the official Team Jersey kit which will be revealed at the Island Games fashion show at Fort Regent in May. However, the logo will be used before this date to help garner support from the community for our athletes in the build up to the games in June. 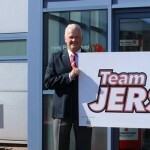 As well as appearing on the official team kit, there are plans to reveal official Team Jersey supporter merchandise for islanders to purchase and wear before, during and after the games. 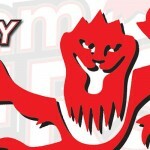 The logo will also be used on a number of the sports teams’ kits and at a range of promotional events and activities in the build up to the games in June.